How do pimps still exist in 2011? DJ Heat & DJ DStar enter Smirnoff’s Master of the Mix contest (now in Round 2), and release “Spring Training 2011” mixtape, hosted by Trazz (and including his Racks remix). Also recorded on May 17, this episode had no plan, and no DJ Heat. DJ Heat couldn’t join us, and we didn’t have much planned, so we present you with another random episode. You’ll hear a little T.L.C. “Creep,” some Lil Jon mashed up with Lazytown, and more. Sorry for the 2-week+ hiatus! This episode was actually recorded before the break, but didn’t get edited for awhile. Interview with Weeze, one of the players behind the scenes with G-Unit, producer for Lloyd Banks and Tony Yayo, as well as A&R, mix-tapes and beat selection. Also producer of Slowbucks.TV. While waiting to connect with G-Unit producer, Weeze, we decided to fill some time by recording a “normal” episode. We started live streaming when Sonny Digital happened to tweet about wanting to ustream. Next thing you know, none other than Sonny Digital calls us! 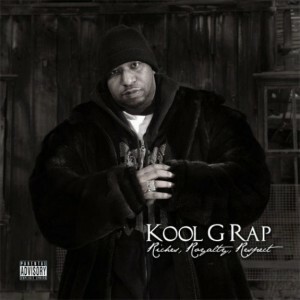 This was our first ever interview, and we scored big with hip-hop legend, Kool G Rap! Check out G Rap’s tracks “Baggin’ in Da Spot” featuring ScarChild, and “Sad” produced by Supa Dave.